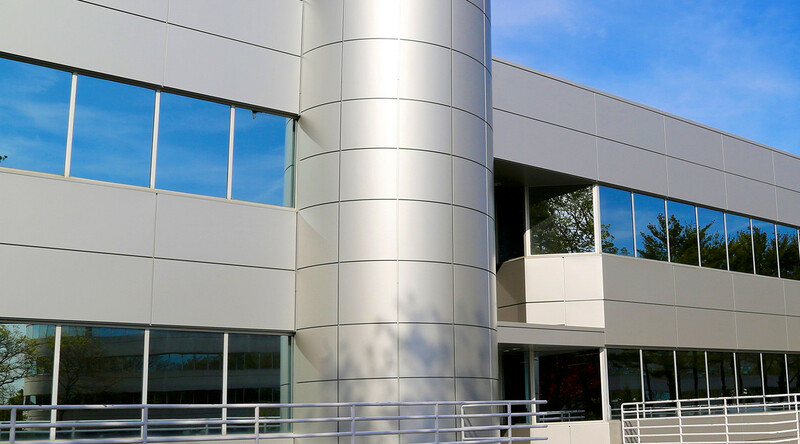 Joe Ciserano’s task was as simple as it was daunting: Transform a drab, 32-year-old precast concrete office building into the leasing envy of Long Island. Ciserano of AIA is an architect with H2M architects + engineers, an acclaimed regional firm specializing in commercial and infrastructure design and civil engineering projects. 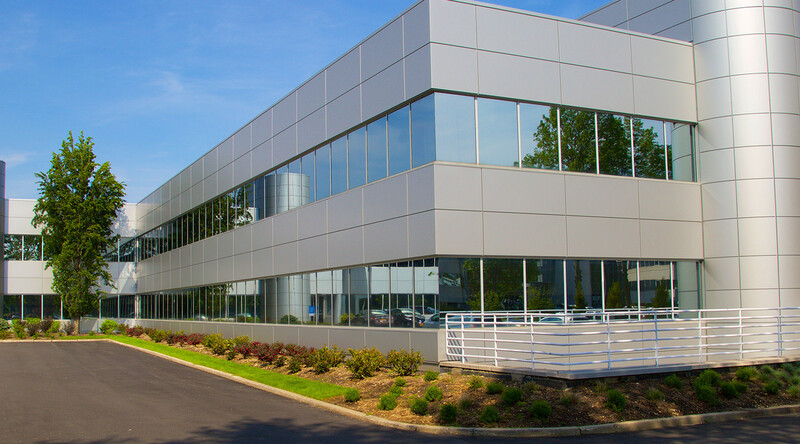 Their client, Fairfield Properties, recently acquired a three-story, 180,000 square foot single-tenant office building in Melville, N.Y. The developer asked H2M to revitalize the property, with the aim of reasserting its A-class rating and generating the kind of curbside stopping-power that would enable it to aggressively compete with flashy peers. 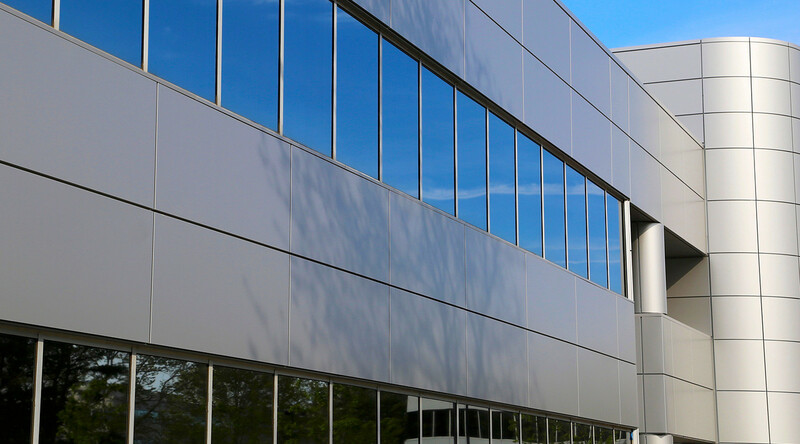 The Intercept Entyre modular metal panel system offers architects, owners, structural engineers, and installers a continuous engagement flange and concealed fasteners for the sequentially installed modular panels. 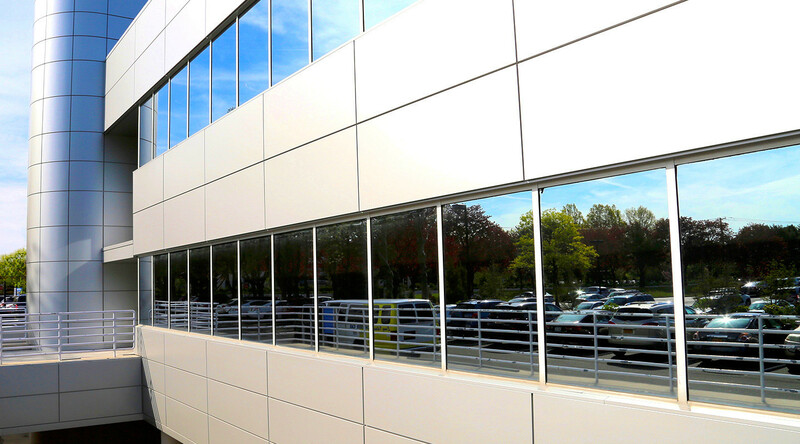 Project planners specified over 22,000 square feet of aluminum Intercept panels in a smooth finish. Key to the new exterior aesthetic is a unique blend of curved and flat panels. The curved and flat aesthetics along with exceptional panel sizes transformed the building’s aesthetic. The metal panels even serve as column covers, completing a continuous metal aesthetic. 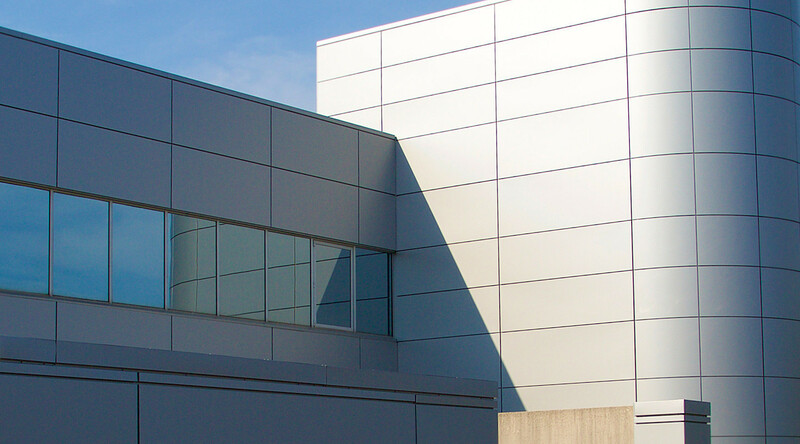 All told, the project incorporates over 22,000 square feet of metallic Intercept panels in the building envelope. The new-look exterior was just part of the building makeover. Fairfield Properties updated inside and out. The building entrance was dramatized with granite and a glass curtain wall. Other amenities include new landscaping, granite walkways, a half-mile walking trail, granite-and-wood interior finishes, and a 6,000 square foot fitness center. “The building is fully leased with a couple of large tenants,” Ciserano says.